Well my whole garden isn’t in the trashcan. Just my potatoes & sweet potatoes. Here is the June update on my crowded garden! My garden is small so I am always up for creative ideas to save space. 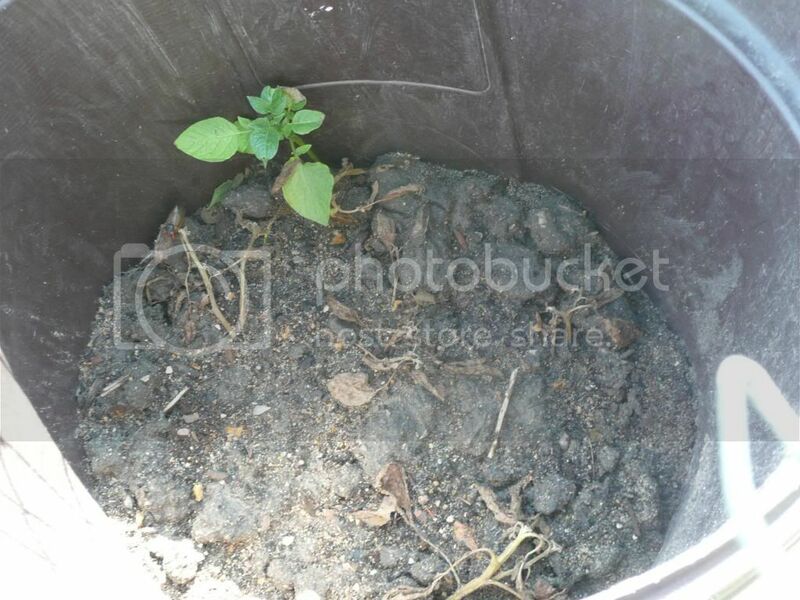 After looking at several different bloggers garden ideas, I decided to try planting potatoes in a trashcan. When I saw potato plants at the green house when I bought the rest of my plants I was overjoyed! The beginning of June was a bit late I knew to plant potatoes. I believe that they like the cooler weather to get started(reason I believe this later on in the post). Take an old trashcan and drilled holes in the sides & bottom. This allows extra rain water to exit the trashcan! You don’t want to drown the plants! Line the bottom of the can with some gravel so that the dirt wouldn’t clog the holes. I do this in my smaller pots too! 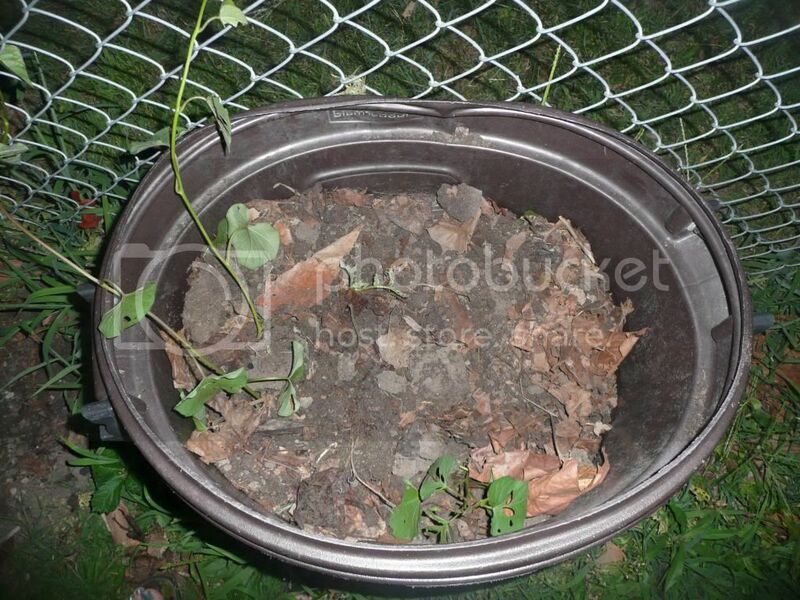 Add soil about 1/3 of the way up trashcan & plant your plants. Up to this point I had great success! Unfortunately I had other responsibilities call me away. It rained non stop for several days and then was VERY hot right after. My potato plants were not happy with their move. I lost all but one! 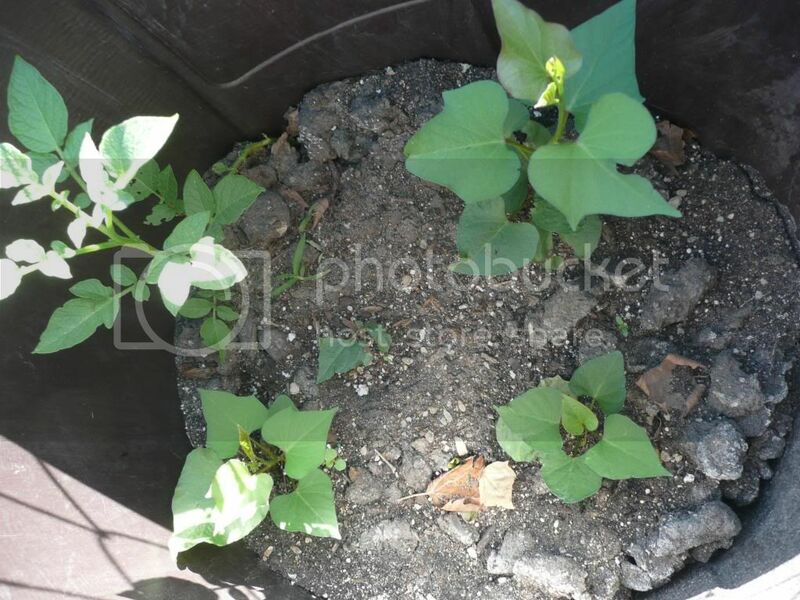 I had didn’t have time to plant kept my sweet potato plants inside. So instead of putting them in their own trashcan I decided to put them with the lone potato plant. We will see how that works. I planted them in a smaller pot & hardened them off by putting them out in the shade and then gradually in more sun for several days. This seemed to help acclimate them & they are thriving! As the plants grow I will be adding more soil to cover the stems and leaves. You should leave 4-6 inches above the soil. Once the plants reach the top of the trashcan you can just let the plant grow. I am hoping for a bunch of sweet potatoes & a few regular potatoes too! I will update at harvest time in the fall! ***Update & confession time. I haven’t actually looked in in the trashcan for a week or more while. The sweet potatoes have reached the top & are climbing the fence. The potato plant looks dead so we will see what happens. Good thing I love sweet potatoes more than potatoes! Cook Turkey once, Eat twice!